Bonnie Clarke is Director for Scotland of one of the UK’s leading recruitment consultancies Badenoch & Clark, and works with a number of groups in a non-executive role. She is a Chair of the charity Women onto Work (WOW) and on the Board of Changing the Chemistry and of Women’s Enterprise Scotland. She was also the recipient of the Institute of Directors (IoD) Female Director of the Year in 2014. A graduate in the psychology of human communication and French, Ms Clark is passionate about personal and team development. She has been managing, supporting and directing teams throughout her career and is dedicated about helping people reach their full potential. “We need more diversity on our Boards to create better business decisions and help organisations think in a different and better way. “Successful organisations must reflect the people that they serve. Often women have a quieter voice in society but we must encourage them to be heard. We cannot be satisfied with the status quo. “In the work that I do through my various roles on different bodies, I want women to have a voice, to encourage them to explore possibilities, give them confidence and hope. “In her acceptance speech, the First Minister said ‘there should be no limit to your ambition or what you can achieve. If you are good enough and if you work hard enough, the sky is the limit – and no glass ceiling should ever stop you from achieving your dreams. 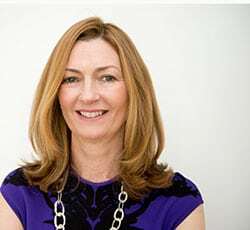 Anne Richards is Executive and main board director of Aberdeen Asset Management plc, a FTSE100 company, and has significant international and P&L/general management experience. She is also Head of Europe, Middle East and Africa (EMEA) and Global Chief Investment Officer. Anne regular speaks at conferences around the world on a wide variety of business, investment, pensions, economic and market related topics. She is a strong advocate of the need for diversity in the workplace generally and in the board room in particular. One of the BBC’s ExpertWomen and member of the Board of Leaders for 2020 Women on Boards. She was the recipient of 100 Women in Hedge Funds European Industry Leadership Award in 2014 and one of the FN100 Influential Women in European Finance. “There’s three reasons why there should be parity amongst the genders in the boardroom and at all levels within an organisation. It’s better for the economy overall, it’s better for business and it’s just the right thing to do. “Women are as capable as men so should have the same opportunities as men. But, putting both the broader economic good and fairness aside, the most compelling argument is that it simply makes business sense. A board with a good gender mix will have a greater diversity of the opinion and insight which is so critical to a company’s success. There is a huge body of academic research which shows that mixed teams make better decisions, giving diverse boards a pretty clear competitive advantage over homogenous ones. “Scotland does reasonably well already on female participation in the workforce, but could do even better with a commensurate positive impact on the economy overall. 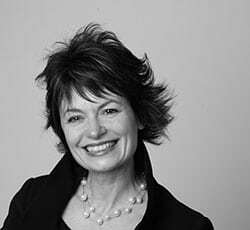 Professor Anne Glover CBE is currently on sabbatical at the Robert Bosch Academy, Berlin and will return to Scotland in June as Vice Principal for External Affairs and Dean for Europe at the University of Aberdeen. 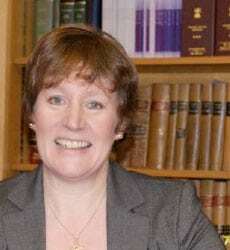 She has recently been appointed as Chair of The Carnegie Trust for the Universities of Scotland. Anne was the first Chief Scientific Adviser to the President of the European Commission 2012-2015 and prior to that, she was the first Chief Scientific Adviser for Scotland 2006-2011. As a very effective and well respected ambassador for European science, she has played major roles for UK research councils in the setting of strategic priorities and budgets for science and has been a partner in several European research initiatives. In 2008 Anne was made a Woman of Outstanding Achievement in Science, Engineering and Technology (SET) and she has worked hard to raise the profile of women in SET to ensure that, not only are women recruited into careers in SET but that they are supported to remain in the profession during their careers. She was voted No.19 in BBC Woman’s Hour top 100 power list for her work and for her promotion of the communication of science and encouraging women into scientific careers. In 2009, she was awarded a CBE (Commander of the British Empire) by the Queen in recognition of her services to environmental sciences. In 2012 she received the Proctor and Gamble Award for applied microbiology and also received a special recognition award from the Scottish Life Science community. Anne has received 14 honorary degrees and several honorary fellowships internationally as well as elected fellowships to learned academies. “Scotland has a global reputation as a nation where social justice, embracing the idea of “the common weal”, are important. “A key part of this is ensuring that we engage all of our society. Women have a great deal to offer and can bring a variety of valuable inputs at Board level. If we do not ensure we have access to this resource, Scotland is unlikely to thrive in the 21st Century. “Recent research has indicated that gender equality on Boards makes good business sense. “In particular women can bring unique qualities and approaches that can improve board dynamics, strategic decision-making and governance in both financial and non-financial areas. Catherine Dyer is Crown Agent for Scotland and Chief Executive of the Crown Office & Procurator Fiscal Service (COPFS). 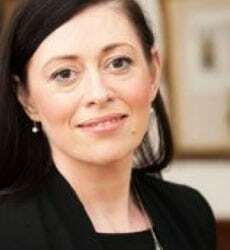 As the civil service head of the COPFS staff she also acts as legal advisor on prosecution matters to the Law Officers for Scotland, the Lord Advocate and Solicitor General. Catherine held office as Procurator Fiscal for Linlithgow before being appointed the first woman to hold the post of Area Procurator Fiscal at Glasgow, the largest prosecutors office in Scotland. She also created and led the Crown Office and Procurator Fiscal Service Strategy and Delivery Unit. In February 2010 she became the first woman to be appointed as Crown Agent and Chief Executive. Catherine is also currently the Diversity Champion for the Scottish Government and chairs the Public Sector Employers’ Diversity Network. She is also a Director of the International Society for the Reform of Criminal Law. “Women make up over 50% of the population in Scotland and contribute significantly to the success of the country in myriad ways every day in homes and workplaces. They bring a wealth of experience and talents that will not be fully utilised if we do not move to representation at Board level which reflects that potential. If Boards remain weighted so as to fail to reflect 50% of society they will be found to be lacking in authenticity and remain limited in terms of access to viewpoints and opportunities for change. They will become even more isolated and remote from large sections of their own organisations’ workforces and customer bases and that of others with which they come into contact . “There is strong evidence to suggest that valuable future talent is missed if peer group role models are not visible to encourage young people to aim for leadership roles. Innovation and creativity rely on Boards securing strong mixes of talent. For the past few decades there have been so many women gaining high academic and vocational qualifications and significant consumer and workplace experience and yet that is not reflected in Board make up. “Against that background we have to challenge ourselves as to why that is – it cannot be that there are not sufficient women of merit to participate. It is that the environment has been male dominated for so long that change needs to be pursued through commitments of this sort to deliver Boards that are fit for the 21st century within the next few years. 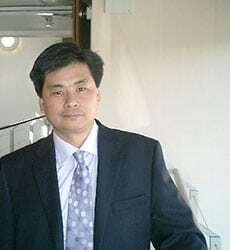 Colin is Chief Executive of Council of Ethnic Minority Voluntary (CEMVO) Scotland, which is a national intermediary organisation with the aim of building the capacity and sustainability of the Ethnic Minority Voluntary Sector in Scotland. He was previously an Adviser to the Scottish Parliament Equal Opportunities Committee and is currently the Chair of the Scottish Court Service’s Equality Advisory Group. Colin has worked in the voluntary sector for more than 25 years and has managed various organisations, including a mental health project for ethnic minority men and an adult guidance, employment and training organisation. He has considerable knowledge and experience in race equality, having for example worked for an anti-racist project in Edinburgh and for the Scottish Federation of Housing Associations where he provided support to registered social landlords on equality performance standards. “CEMVO Scotland fully supports the 50/50 commitment as it is important to get more diverse and representative views onto Boards. “Within the boardroom where strategic decisions are made, where good governance applied and where risks are overseen, it is imperative to have a mix of skills, life experiences and backgrounds to enable better and more informed decisions to be made. “Boards must be accessible and attract talent from the widest pool available, particularly where 51.5% of the population in Scotland is female. “Women are still more likely than men to be in low-paid jobs and are under-represented in senior positions, with evidence also showing that there is untapped potential among women and that the economy is missing out because women have a lower rate of economic activity than men. “Increasing diversity can ensure that Boards overcome the danger of ‘group think’ and are more responsive to the economic environment, are more representative of society, and are more reflective and inclusive in its decision making. Pat Watters is Chair of the Scottish Fire and Rescue Service (SFRS) and leading the SFRS Board through the challenges of integrating Scotland’s Fire and Rescue Services into a single unified service. He has served as Convention of Scottish Local Authorities (COSLA) President from 2001 until May 2012 taking up his current post in September 2012. 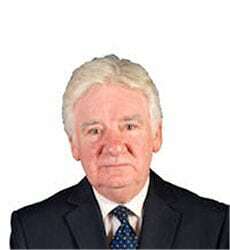 He was appointed Chair of the Scottish National Community Planning Group in June 2012. “SFRS fully supports the 50/50 commitment to have more female representation at Board level. In setting the strategic direction of an organisation, it is important to have a balanced viewpoint and to make decisions which reflect diverse perspectives and society as a whole. With women making up more than 50 per cent of the Scottish population, it is only right that this wealth of skills and experience is reflected in the Boardroom. “Statistically, it has been shown that organisations that have a higher proportion of women on their management committees have the best performance; a diverse and representative workforce at SFRS can only enrich and improve the service we provide.